If you’ve been a BlackBerry Beta Zone member for a while now, you probably noticed that changes have been made in order to make the beta experience smoother. Today another new change has been announced and that is single sign in with your BlackBerry ID. We all know that using multiple user names and passwords can get a little cumbersome when it comes to remembering which one is for what. Today RIM has announced that they are fixing that for BlackBerry Beta Zone members. 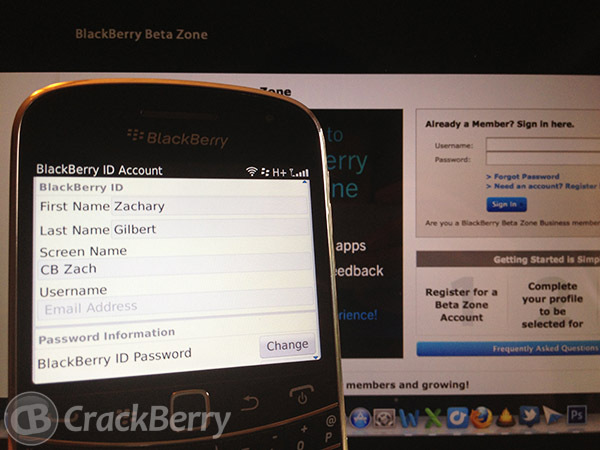 In the coming weeks, BlackBerry Beta Zone will now be using your BlackBerry ID for your login information. If your BlackBerry ID name is the same as your Beta Zone account no changes will be required on your part, RIM will handle the migration for you. If your Beta Zone name is different then you will need to assist in the migration process, but its actually quite easy. RIM has stated in the Beta Zone email that these changes will be taking effect over the coming weeks, and that you will be notified when the changes have been made. Hopefully RIM moving to a unified login on the Beta Zone and BlackBerry ID shows signs of things to come for other BlackBerry services like the BlackBerry Music and Video store, one can hope.